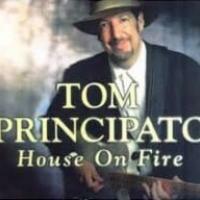 The problem with terrifically talented blues and roots guitarists such as Tom Principato is that they aren't typically terrific songwriters or singers. That's an issue that has plagued Principato throughout a respectable solo career that began in 1984 and has dogged him for a dozen solid if inconsistent albums since. 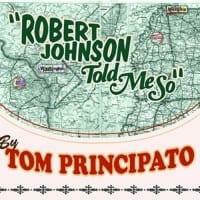 He's improved on both counts on this 2011 entry, the first comprised entirely of originals. While his words remain occasionally clunky, his dusky singing has acquired a warmth and sensitivity with similarities to another great guitarist, Eric Clapton. 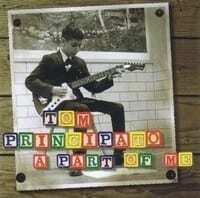 Anyone who has seen Principato live, or has heard his high-energy Blazing Telecasters projects with Danny Gatton, knows that he can tear it up with the best of them. But he stays on a low boil for the majority of this session, letting the songs breathe instead of filling them with spotlight-stealing solos. That, along with some engaging melodies such as "Sweet Angel," makes this his most accessible and enjoyable release because he's letting the tunes dictate the playing, as opposed to vice versa. He's assisted by overdubs from veterans and longtime friends such as keyboardists Brian Auger and Chuck Leavell, along with slide maven Sonny Landreth and Memphis Horns man Wayne Jackson, who all make short but impressive appearances. Although usually lumped into the blues genre, the guitarist avoids its clichés, preferring to simmer in its rootsy vibe on the lovely title track. That song is his most introspective statement, perhaps ever, where the lyrics "when will I learn not to crash and burn," matched with an emotionally stirring vocal, seem almost brutally honest and personal. 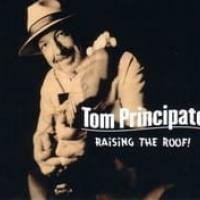 Principato goes New Orleans second line for a lyrically obvious yet peppy "Down in Lou'siana" that propels its way through one of the set's most biting guitar solos. 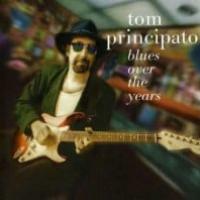 He shows nimble jazz chops on "Back Again & Gone," one of two instrumentals that let his guitar do the singing, as it does on the Santana/Peter Green/Mark Knopfler-styled "Stranger's Eyes," the latter keeping a mellow groove urged on by Gail Sanchez's congas and some of Principato's most luxurious playing. It may not be a hit but it deserves to be and, like the rest of these tunes, shows a melodic maturity and intrinsic professionalism not dependent on the star's sizzling six-string skills.